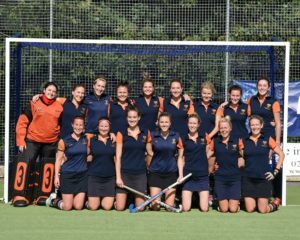 The Old Cranleighan Hockey Club is an established and rapidly growing club based in Thames Ditton, Surrey. Formed in 1928, the OCHC has the luxury of having its own astroturf pitch (which was relaid as part of a £450,000 investment in 2018) situated in front of its clubhouse and grandstand, with plenty of on-site parking. The club is located just off the A3 (Hook junction) and is within easy walking distance of Thames Ditton, Hinchley Wood and Esher train stations. The OCHC fields seven men’s and five ladies’ teams. The men’s’ 1st XI will play in the National League from 2018-19, the 2nd XI gained promotion to the Hampshire/Surrey – Regional 2 in 2017, while the 3rd XI have been promoted in five successive seasons. The two veterans teams (Barnstomers and Hamstrings) compete in the Higgins Group London Hockey League. The Ladies 1st XI have recently gained promotion to Surrey Ladies Division 1 and we now field a Ladies 2nd XI team in Surrey Ladies Division 4, and a Ladies 3s XI team in Surrey Ladies Division 10. We also have the recently established veterans team (OC Vamps) who play in Division 9 having won their league in their first season last year and this season we started a Ladies Martlets side based around the burgeoning Back2Hockey squad. The Colts section is in its seventh year and is thriving and comprises 500+ members. We limit our numbers to ensure the quality of coaching is not diluted and that everyone has the chance to develop. We have entered a number of local Colts leagues and also firmly encourage our older ‘original’ Colts to play in the adult teams. The club also enters both regional and national cup competitions for our men’s, ladies and mixed Squads. 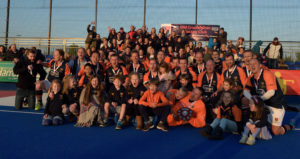 The mens’ 1st XI are the reigning Surrey Hockey Cup holders while the Over 40s won the national EHL Veterans Shield in 2017. In the summer the club runs its own hugely successful Summer League most weekday evenings with many local teams entering the men’s, ladies and mixed competitions. 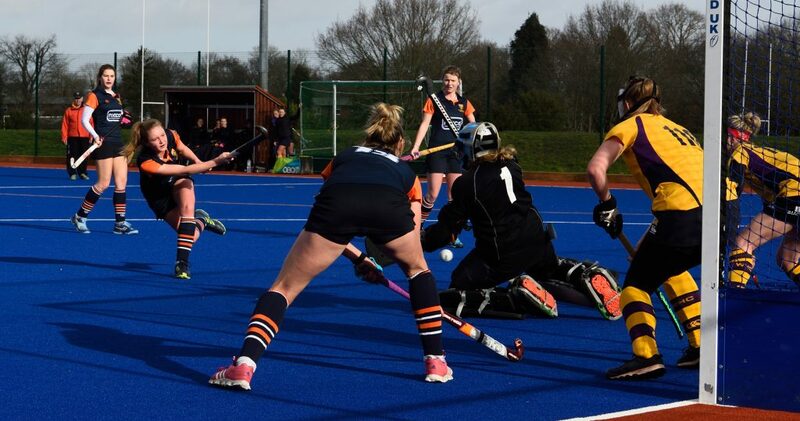 The ladies and men’s 1st and 2nd XI squads train on a Tuesday and Wednesday respectively, at the club from 7.30pm – 9.30pm. The ladies Vamps and 3s train on a Mondays at the club from 7.30pm – 9.00pm. The men’s 3s, 4s, Over 40s / Barnstormers on a Thursday at the club from 8.30pm – 9.30pm with beers in the bar afterwards. 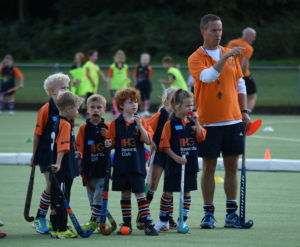 The OCHC is a very sociable and family-orientated club, with many playing members having their children play Colts on a Sunday. The pitch and clubhouse facilities are second to none in the area and there are many social events which are organised across the season culminating in our annual black tie End of Season Awards Dinner. If you are interested in joining then please email us or just come on down one Saturday and ask to meet our Club Captains (Helen and Virge) or our clubhouse manager JJ Griffin. For the Colts section all enquiries should be emailed.